Available in Softcover or as an eBook. A strange fire has razed the house of an elderly woman, who blames demons in Ivaini village, Kitui Central. The mysterious fire broke out in the house of 85-year-old Mukai Kimanzi on Saturday afternoon. She and villagers believe the fire was started by evil spirits. Since Saturday, Kimanzi and her grandchildren have been unable to sleep because she says demons have been slapping and flogging them at night. Kimanzi is looking for an exorcist. She appealed to any persons who could have sent the demons to forgive her if she may have wronged them. Kimanzi said her family is now starving as all the food in the house got burnt. She said the demons have stopped neighbours from visiting her by throwing stones at anyone who tries to move close. Nothing was salvaged from the fire..
Further details can be found at the All Africa web site. Objects thrown by invisible hands, showers of stones that pass through solid walls and ceilings, sudden, inexplicable fires, wall-shaking raps and thumps, creepy voices from nowhere…. welcome to the wonderful, weird world of the poltergeist! Mind-boggling poltergeist events have occurred all over the world for hundreds of years. While many books have been written about notable foreign cases and about the phenomenon in general, this is the first book to focus entirely on the Australian experience, with cases from every state in the nation. 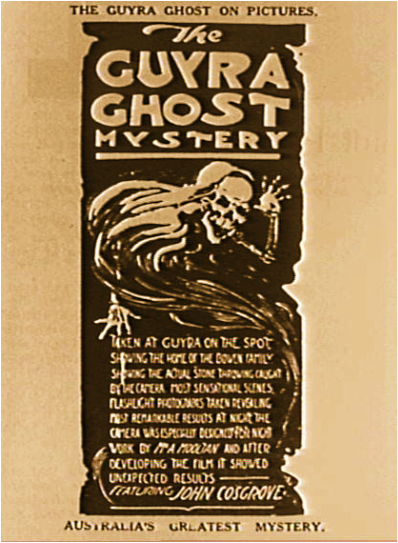 Some of the most famous Australian ghost stories are investigated, with some surprising new information revealed. These stories are incredible... but true. The book also contains a comprehensive catalogue of other true-life cases. PAUL CROPPER and TONY HEALY have investigated all manner of strange phenomena, both in Australia and overseas, since the mid-1970s and have collaborated on many projects, notably in co-authoring Out of the Shadows: Mystery Animals of Australia (1994) and The Yowie (2006). Since witnessing the amazing Humpty Doo, Northern Territory, episode of 1998, they have visited other polt-infested sites and interviewed many people who have lived through similar weird and wonderful experiences. In Australian Poltergeist they cover in detail eleven of this country’s most remarkable episodes and, in a comprehensive Catalogue of Cases, document every other incident in their Australian files, some dating from as far back as 1845.
ePub (for laptops or computers) - via Xoum. 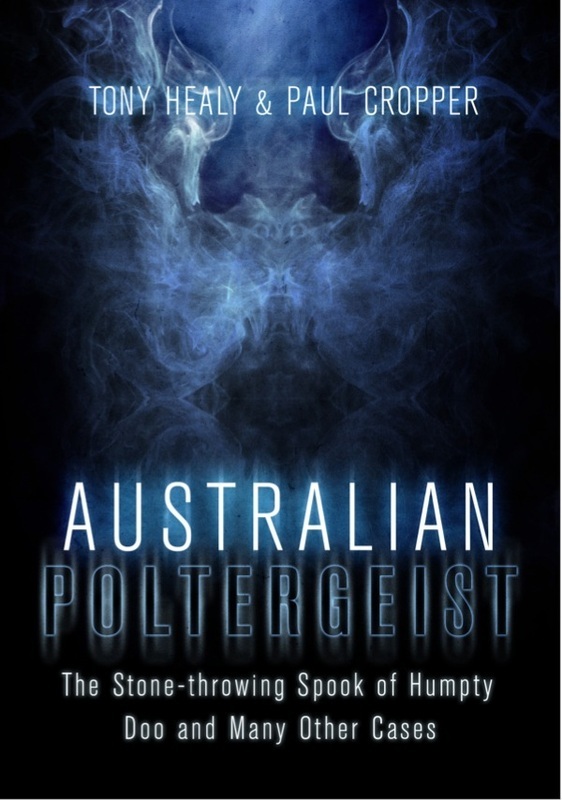 Malcolm's Smith's recent review of Australian Poltergeist can be found at his excellent blog. Listen to the fantastic Mysterious Universe podcast with co-author Paul Cropper. Our first 2015 review, from the great Australian Weird Territory web site. The great Fortean Times (FT324 February 2015) contains an excerpt from the book. Skeptic Sharon Hill's positive review is on her terrific Doubtful web site. New Idea (Australia) magazine for May 25, 2015 contains an interview with Tony. The authors do not endorse any of the following media reports. They are simply representative of the poltergeist phenomenon and highlight its global nature. Durban, South Africa. August 2014. Mabvengwa Village, Marange, Zimbabwe. August 2014. Makomoreng, Matatiele, South Africa. July 2014. Pulianthorpe, Chennai, India. September 2013. Red Bank, Rose Hall District, St. Elizabeth, Jamaica, May/June 2013. St. Johns, Newfoundland, Canada. December 2013. Jiangsu Village, China. September 2013.